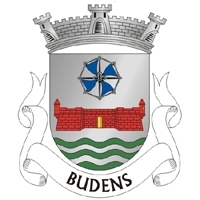 Budens is a parish (freguesia) in the municipality (concelho) of Vila do Bispo in the western Algarve. The village is situated on the national road EN125 from Lagos to Sagres on the border of the nature reserve of the Costa Vicentina (Parque Natural da Costa Vicentina e do Sudoeste Alentejano). Better known than Budens are the seaside hamlets of Burgau and Salema, located directly on the coast, as well as the beach Boca do Rio on the estuary of the creek Ribeira de Budens. There you can also find the remains of a fortress, built in the 17th Century, Forte de São Luís de Almádena, to protect the cottages of the local fishermen against pirates. Near Boca do Rio the ruins of a Roman villa and salt water tanks for fish and seafood have been found that were used by the Romans to produce the famous garum, a very popular spicy sauce at that time. The golf course Parque da Floresta of Santo António Villas, Golf & Spa is located near Budens. The hilly course with several precipitous fairways is a challenge for golfers of all levels.